A couple of Sundays ago, I attended church in LaCoste, Texas, a small community west of San Antonio. 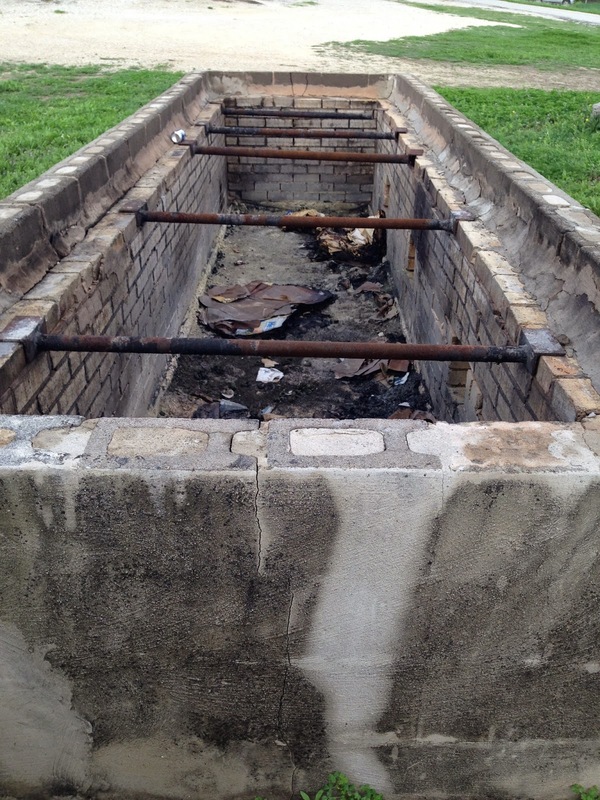 Before the service, I noticed a BBQ pit by the church. Checked it out and took some pics (more pics to come). Found out the church owns it, uses it for its own functions, and rents it out. 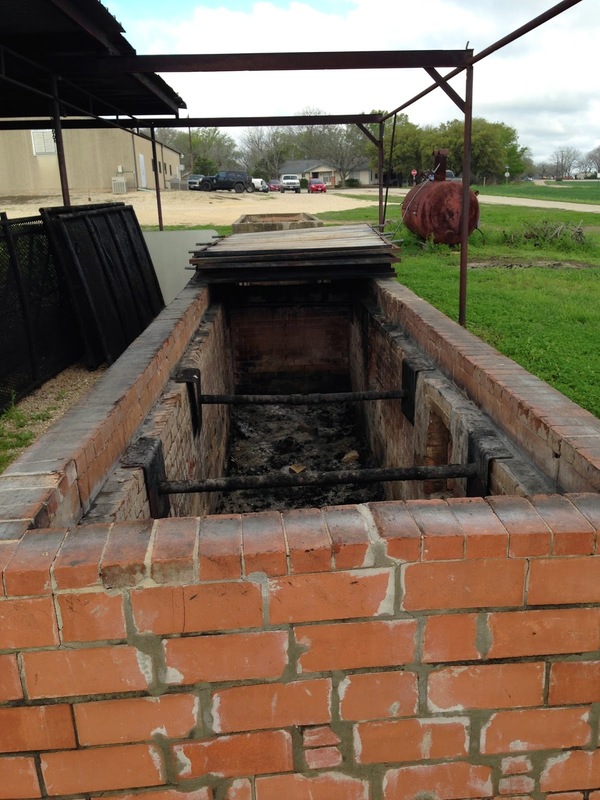 I've heard a pit like this one is not uncommon in some small Texas towns. I'd love to see more of these. If you know of any and have pics, please let me know! 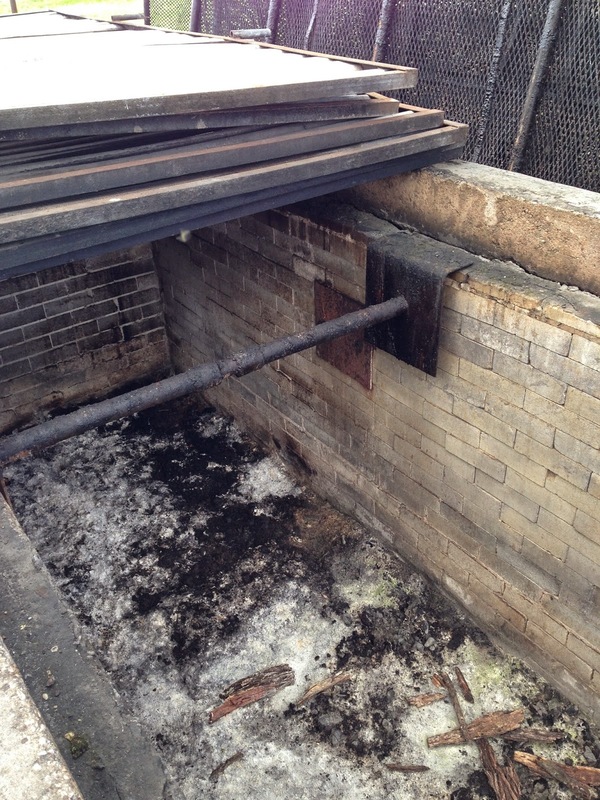 Some Austin residers are complaining to the city about smoke from nearby BBQ joints. 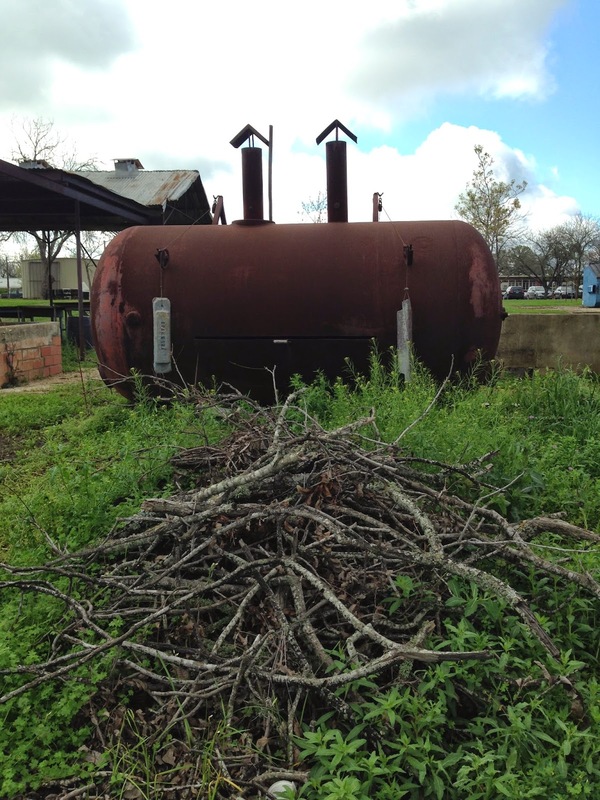 On April 2, the Austin City Council will consider a resolution on requiring Austin BBQ joints to install scrubbers, to cut down on the smoke. Full story here. 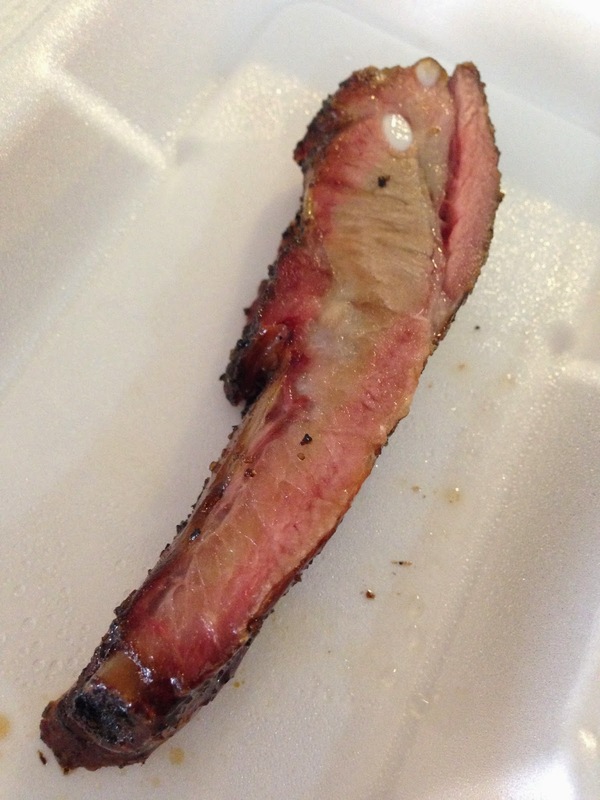 After I hit up Heavy's BBQ last weekend in Hondo, I drove down the street to JB's Bar-B-Que. I only had credit cards, and they only take cash, so I didn't eat. 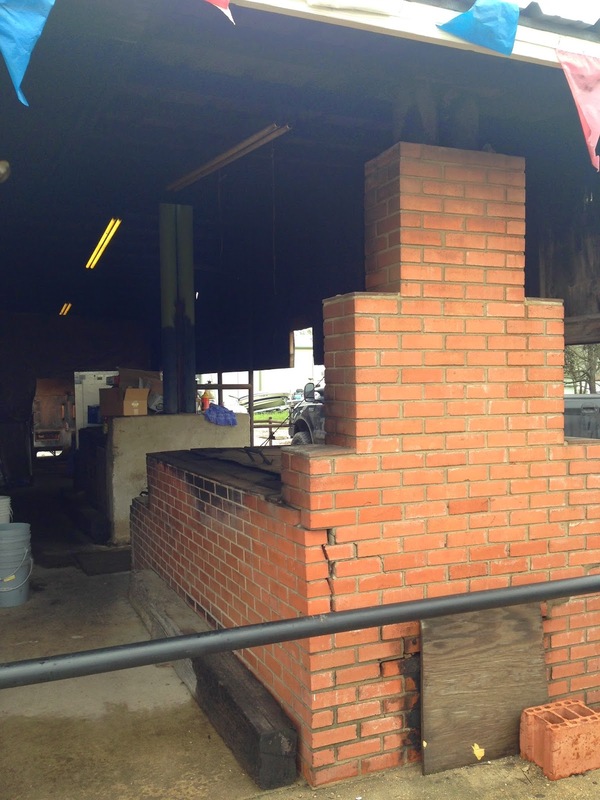 I did, however, hang out with the owner in the back and got some pics of the smokers. 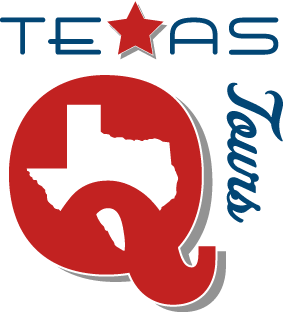 I'm on the road today with a family for a Texas Q Tours private trip. 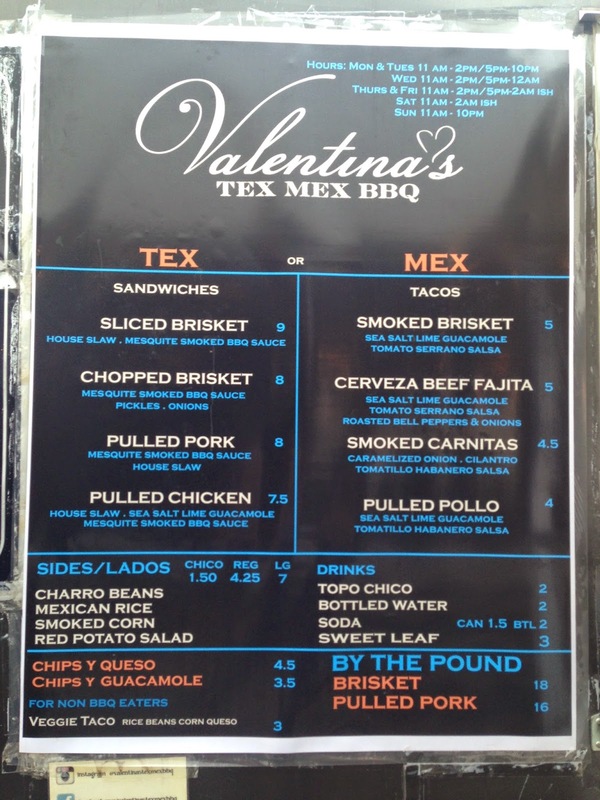 On the schedule: a bakery, a vodka distillery, & a BBQ joint. 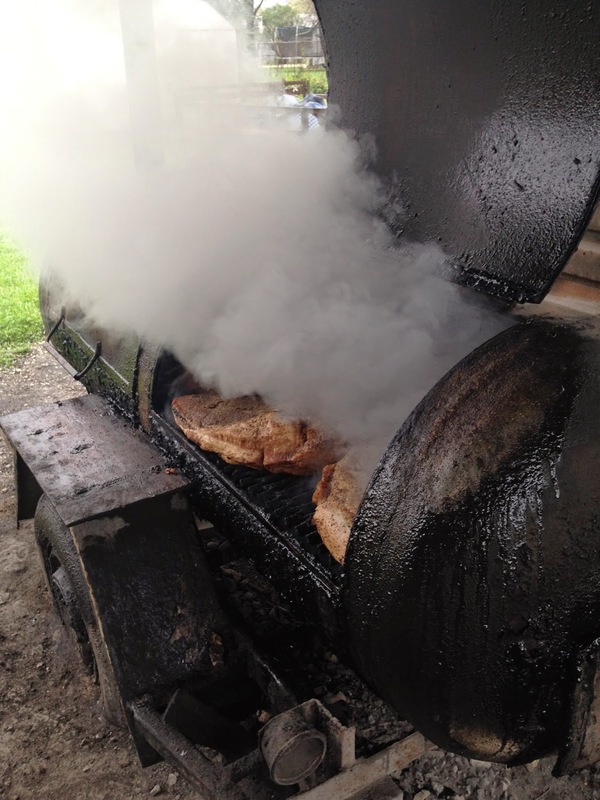 Follow along via Twitter at @ManUpTexasBBQ & @TexasQTours. If you'd like to join a future tour, we have public tours scheduled for April 18 & June 27. And, as always, if you want a customized, guided tour for yourself, your family, your friends, you coworkers, etc., email me for availability & pricing. 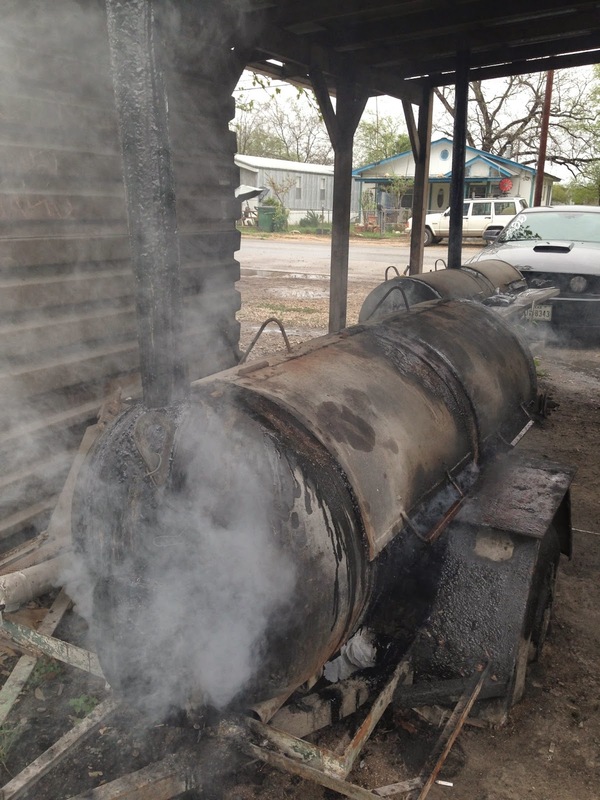 Last Saturday, I paid my first visit to Heavy's BBQ in Hondo, TX. Couldn't stay, so I took my order to go. 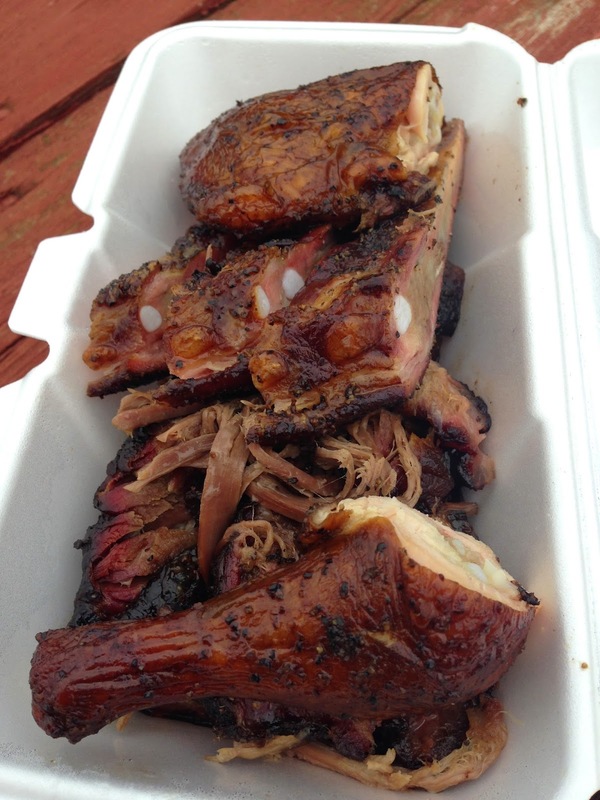 Brisket, pork ribs, & quarter chicken (dark). For the past few weeks, a "South Austin BBQ Coming Soon" sign has been displayed on the building that used to house Milt's Pit BBQ in Kyle. 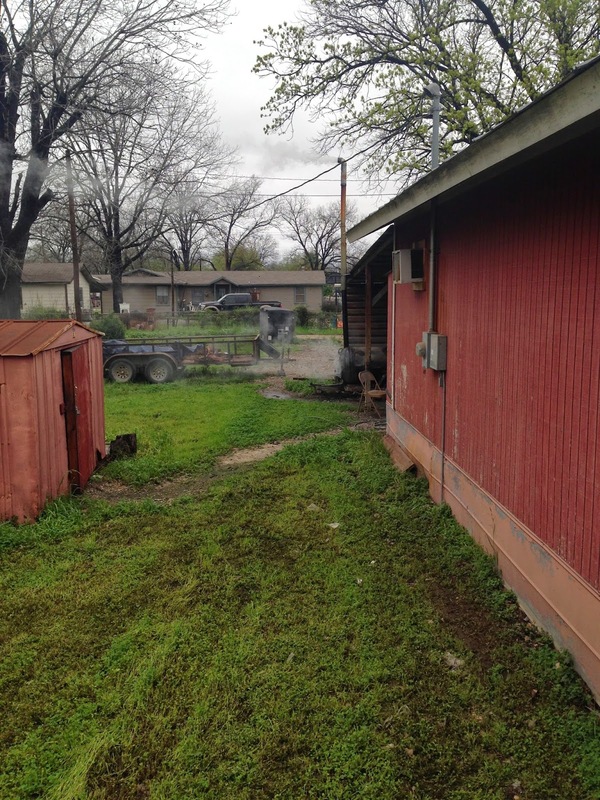 I called the City of Kyle a while back, and they told me no permits have been filed for a business in that name, as of that time. So, anyone know anything about this? 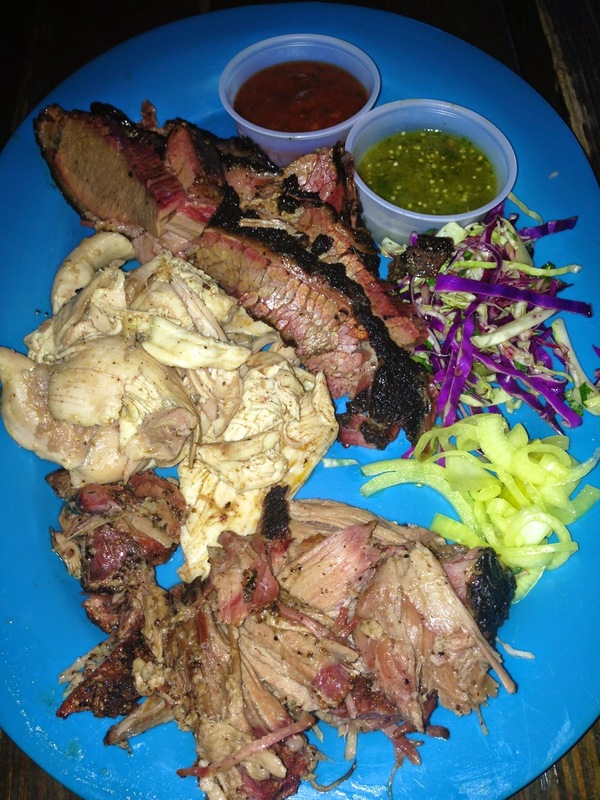 We're making our way down the list of Texas' most populous cities and asking what the best BBQ joint is in each town. Our last look was at Irving (#13). 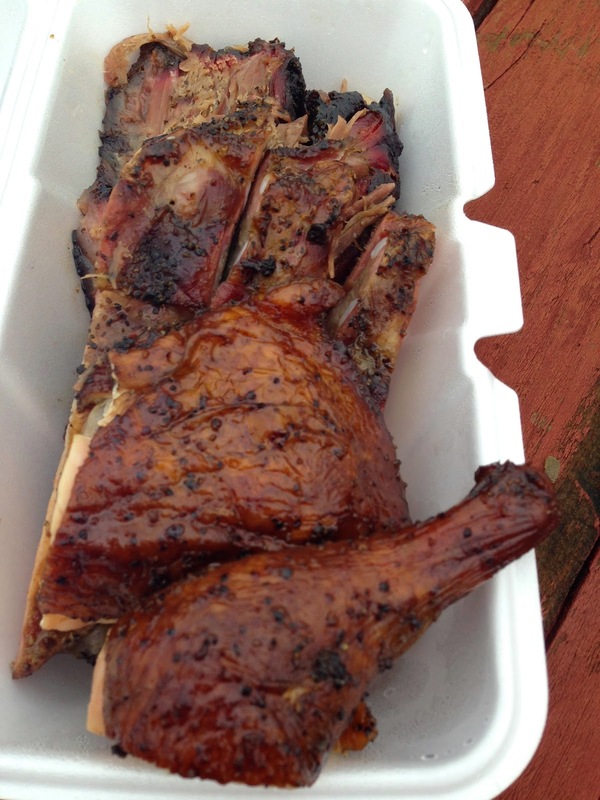 Back in October 2013, I asked what the best BBQ in Amarillo is. Amarillo is the 14th-biggest Texas town, so we'll move on to #15: Grand Prairie. 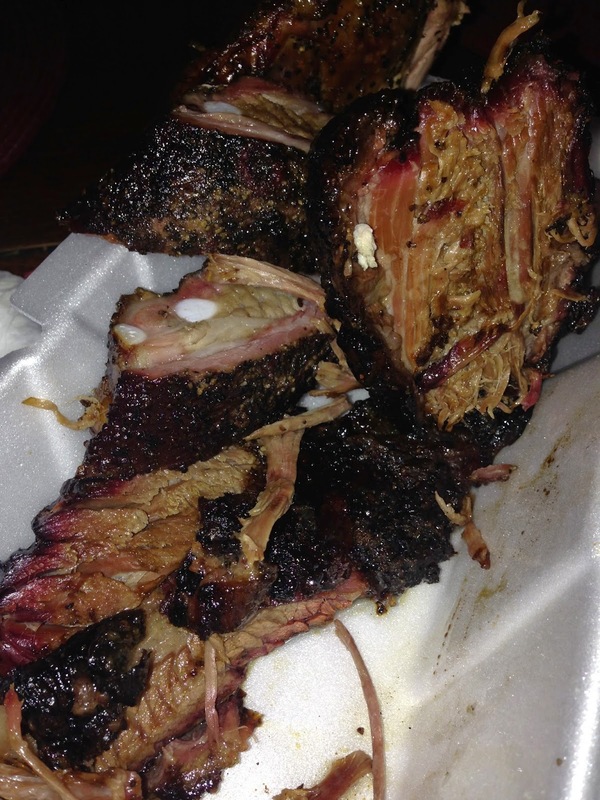 What's the best BBQ joint in Grand Prairie, Texas? 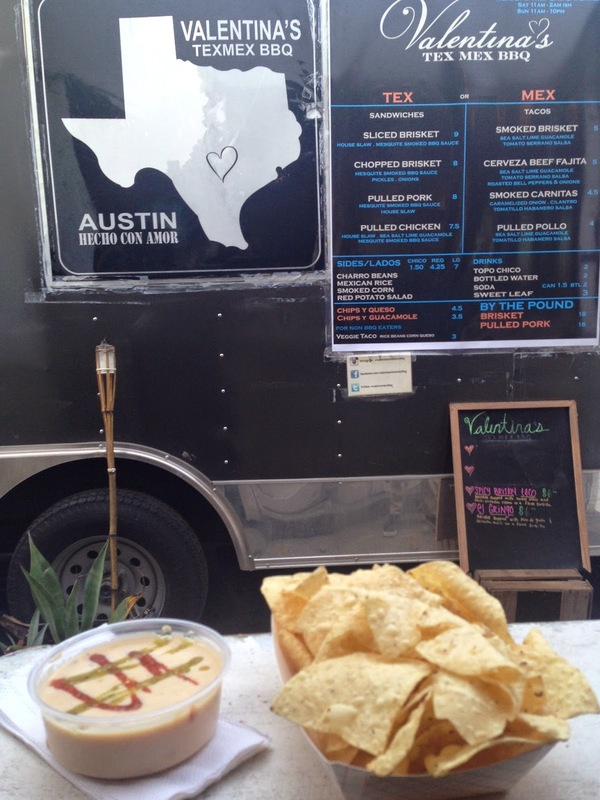 Did you visit Austin for SXSW? 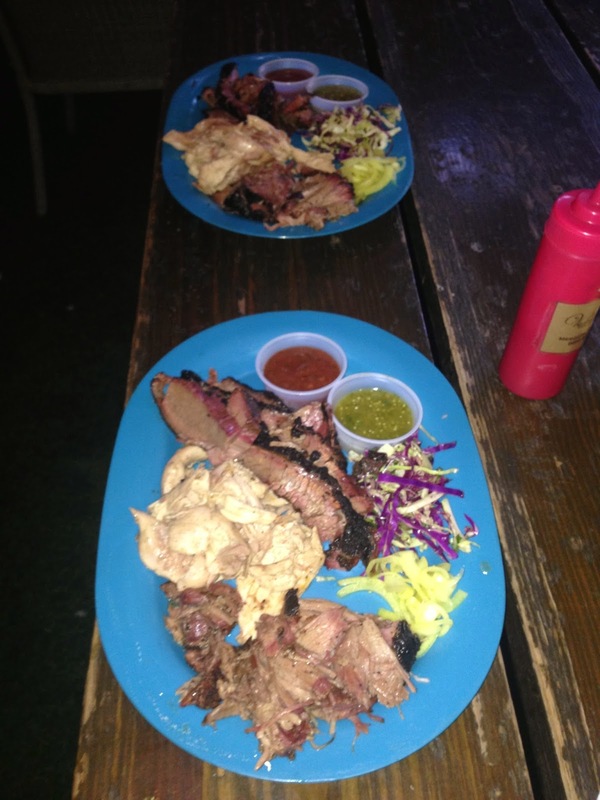 If so, did you try some Austin or Austin-area BBQ? Of course you did. 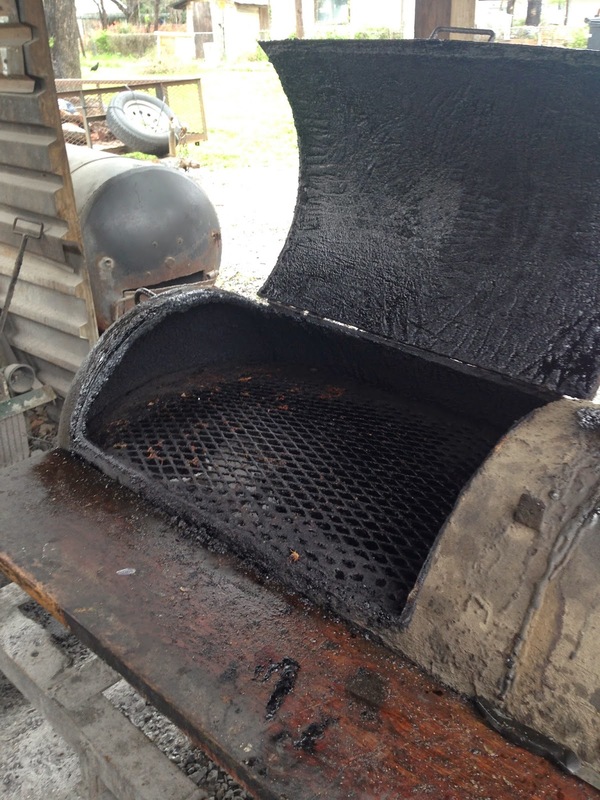 So, what was the best BBQ you ate? 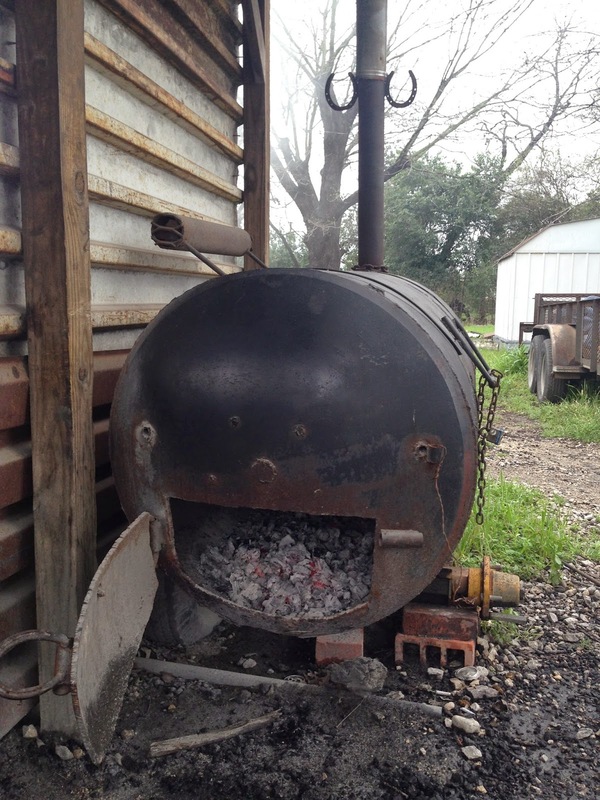 I'd love to know which BBQ joint(s) you most enjoyed during your time in Austin. So, let's hear it! 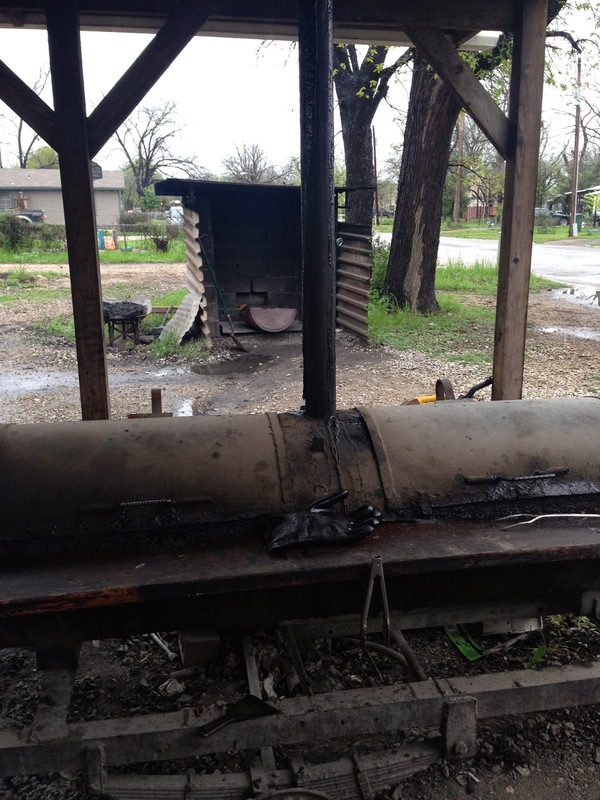 Want a BBQ tour out of Dallas, Houston, or San Antonio? Let us know! To date, all of our Texas Q Tours trips - public and private - have departed from and returned to Austin. But we are more than happy to run tours out of other cities. If there's a demand for it, we'll do it. So, if you want a tour out of Dallas, Houston, or San Antonio (or other cities not too far from Austin), let us know. There are so many spots outside of the Austin area that would be fantastic tour stops, and we'd love to take you to them. So, just want you to know that Austin isn't the only starting point for our tours. If you'd like to join one of our public tours, we have 2 on the schedule now: April 18 and June 27. Each is a 5-stop tour out of Austin. And, as always, if you're interested in a private, guided, customized tour, contact us for availability and pricing. 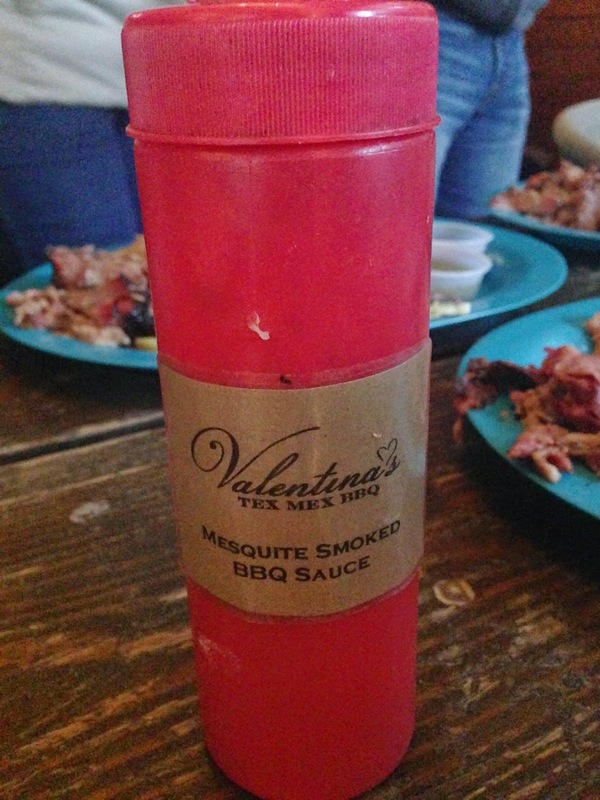 After a Franklin Barbecue brisket & stops at Thirsty Planet Brewing, Hays County Bar-B-Que, Twisted X Brewing Co., & Smokey Denmark's BBQ, we finished our January 24 Texas Q Tours trip at Valentina's Tex Mex BBQ. 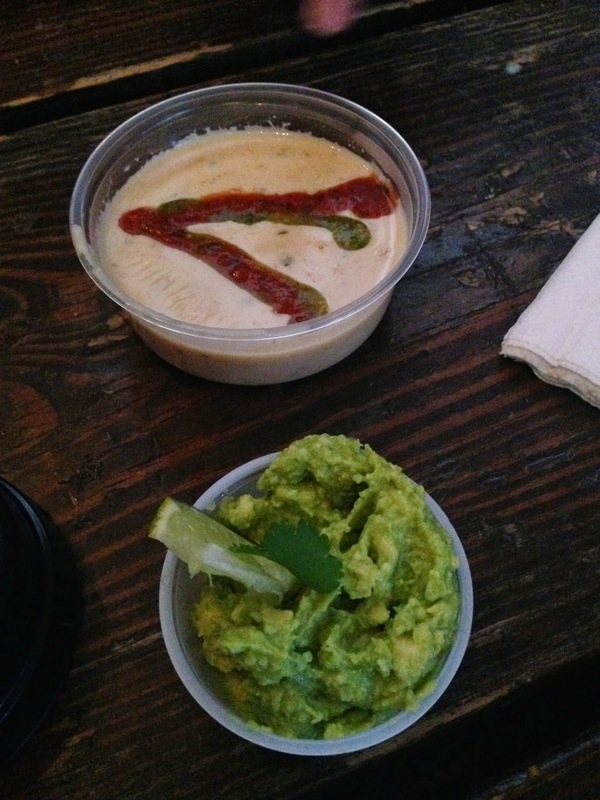 Started with chips, queso, & guacamole, & finished with a spread of smoked meats at house-made flour tortillas.